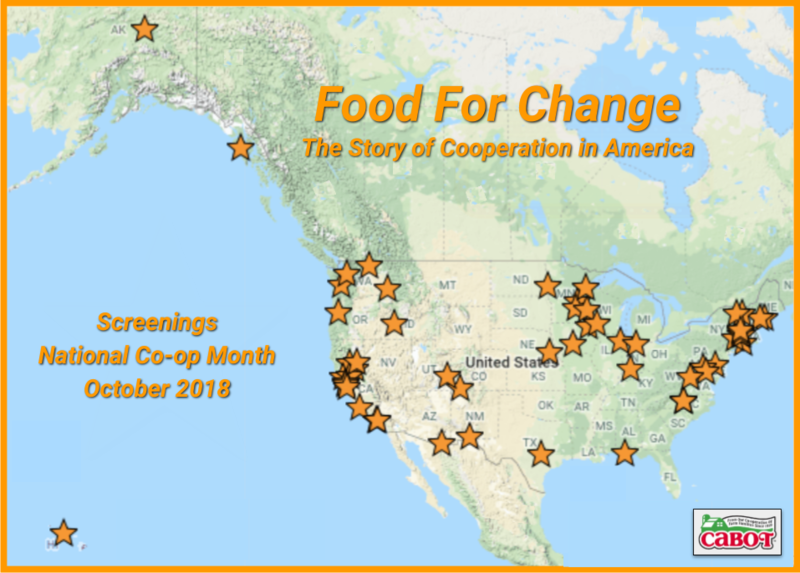 Join The Merc Co+Op in the co-op’s classroom for a screening of Food For Change, an 82-minute documentary film focusing on food co-ops as a force for dynamic social and economic change in American culture. This is the first film to examine the important historical role played by food co-ops. 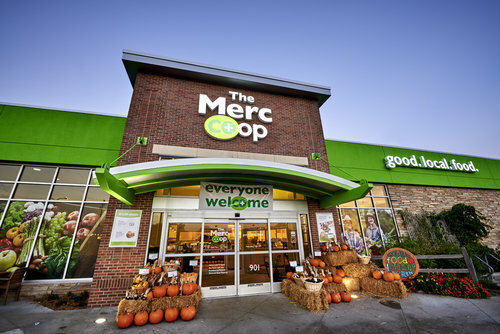 Food co-ops have been pioneers in the quest for organic foods. Currently, many food co-ops are working to create regional food systems. The film shows how cooperatives today strengthen local economies and build food security. It aims to educate a wide audience about the principles of cooperation with a focus on healthy food and a healthy economy. Read more about the film here. The $5 fee will be donated to April’s Change recipient. Registration required. Register online here. We’ll pop the popcorn and provide the beverages. The seats may not recline but the movie is great and the company even better. Learn about the principles of cooperation that support healthy food and a healthy economy. Led by Nancy O’Connor, MS Ed., the Director of Education and Outreach at The Merc Co+op. Nancy directs an on-site class program. She develops and executes healthy eating programs for people of all ages, and serves on a number of advisory boards for the Lawrence School District and the greater Lawrence community. Nancy is also the Executive Director of Community Mercantile Education Foundation, a non-profit sister organization. The Foundation’s primary work is developing and supporting school garden projects in the Lawrence community and the state of Kansas. She is the author of the Rolling Prairie Cookbook, a celebration of fresh local produce.